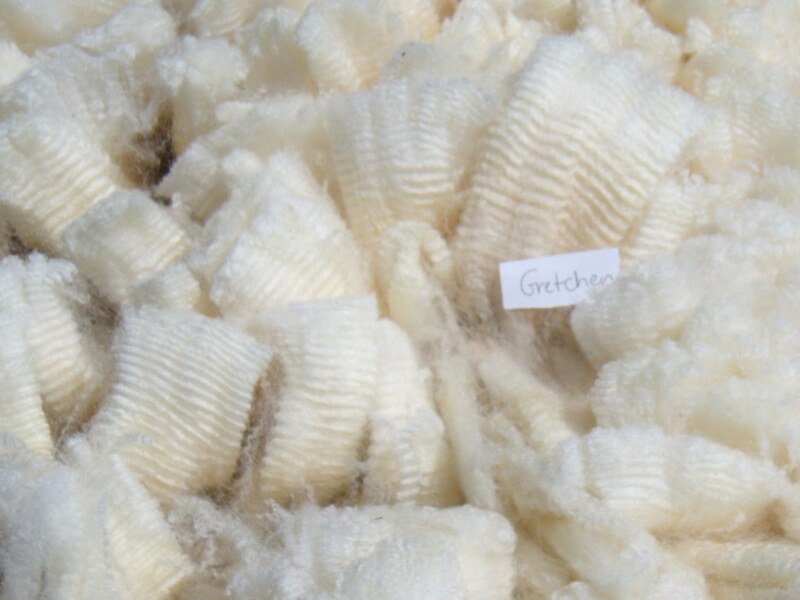 Some of the fleeces are ready to post. Some close-up shots are missing as they didn’t come out well, and I need to re-take them. Coming soon! 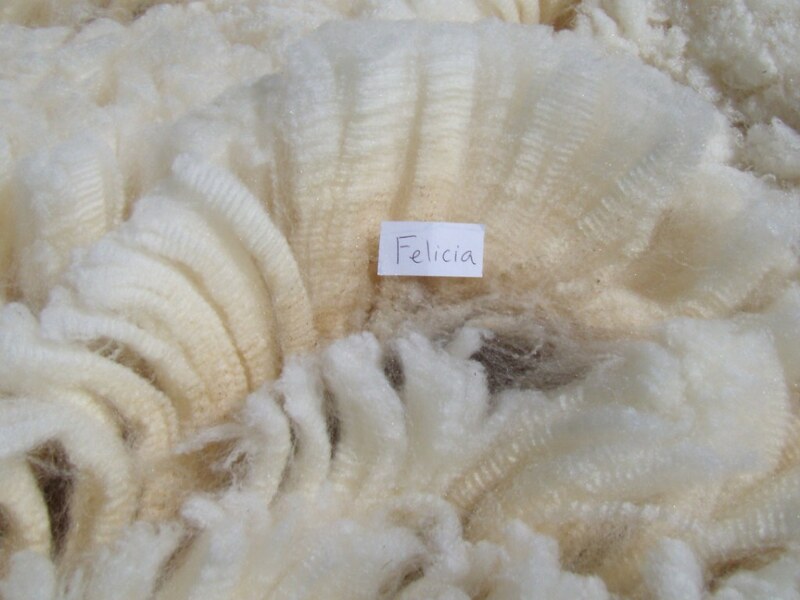 All fleeces were covered. He sold at auction for $31.25/lb for 6.75 lbs. 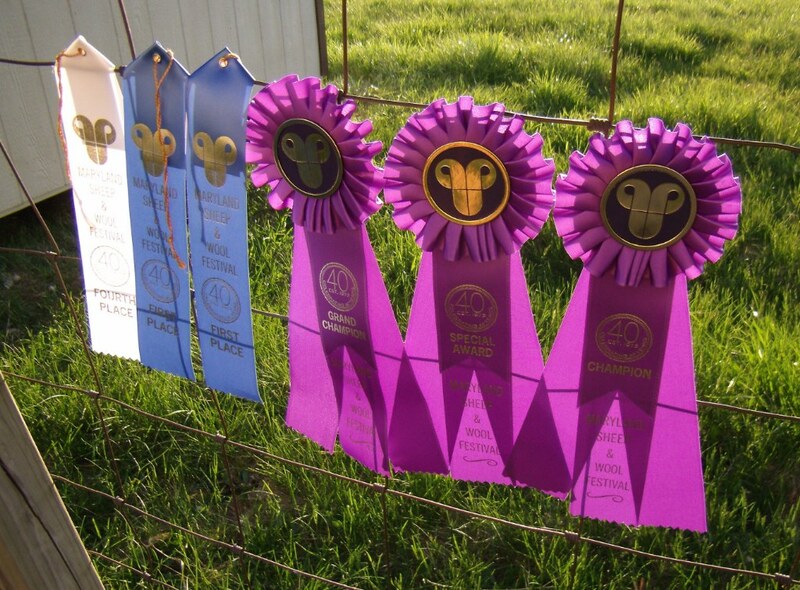 The 4 ribbons on the right belong to Gabriel! 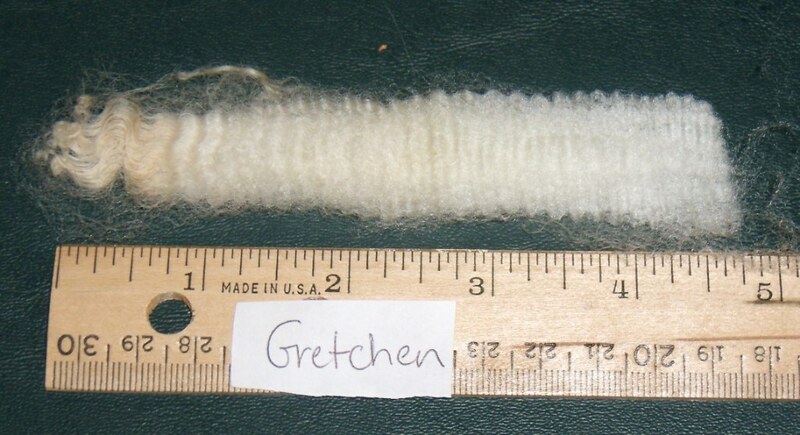 This is Gretchen’s hogget fleece, she is 1 year old. She is 2 year old ewe. 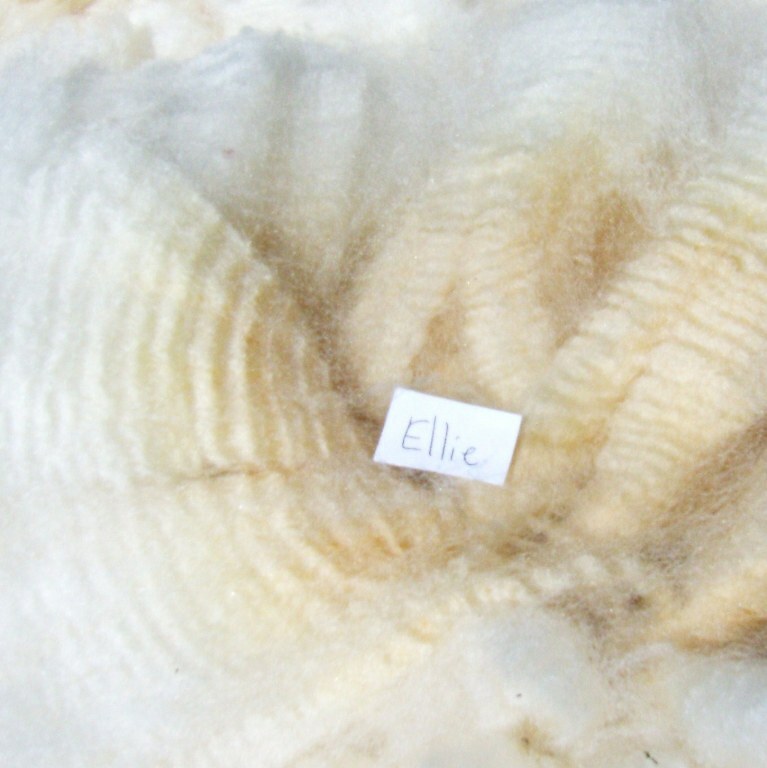 Ellie is a 3 year old ewe. 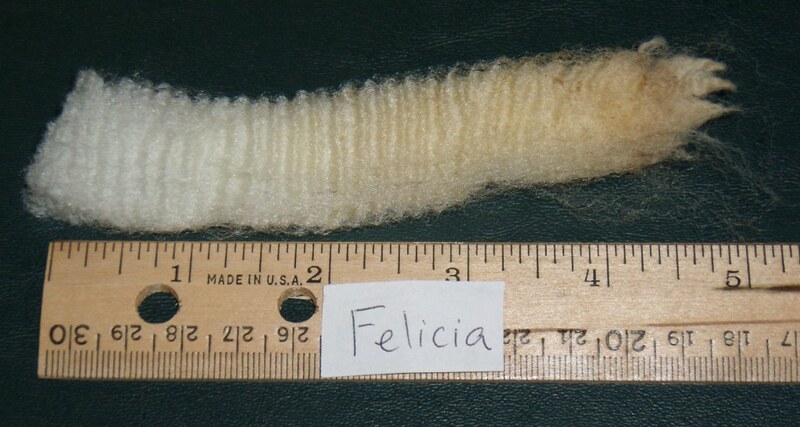 6″fleece (close-up pic to come) Her fleece is cloud-like and will wash to a pure white. I don’t. I have to show and sell them “raw”. I’m not a spinner but I think they use Dawn dishwashing soap gently in a tub. 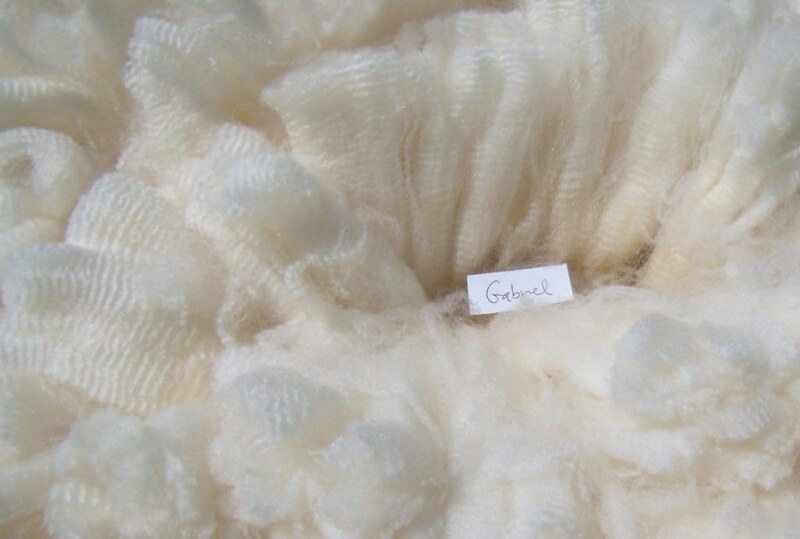 I prefer to spin it before washing it and then washing the yarn. 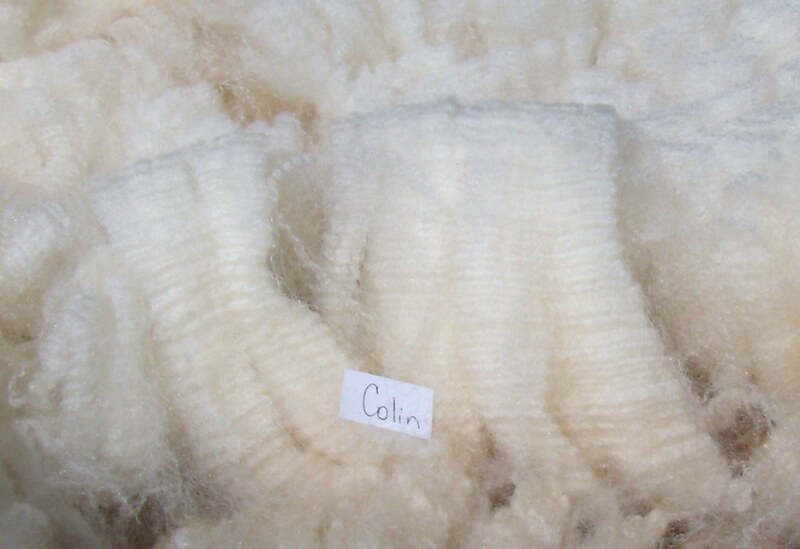 These are very clean fleeces but full of lanolin and a delight to spin “in the grease.” I do have a fleece I didn’t get around to spinning and after a year the lanolin is hardened so I have to wash it first. I will soak it in the tub in hottest water with vinegar and Dawn detergent, drain and do it again several times, followed by multiple rinses. Fascinating to this suburban girl; thanks for sharing!